Signing up for a free trial requires no credit card. There is never any charge for a free trial. Realvolve is focused on the sophisticated real estate agent who is technically proficient and is looking for a powerful real estate Customer Relationship Manager (CRM) that can be customized to their precise requirements. RealtyJuggler takes a different approach and is focused on the real estate agent who is looking for all the features, but none of the complexity. RealtyJuggler offers a 90-day free trial, and a pro-rated refund at any time and for any reason. Realvolve offers a 14-day free trial (but requires a credit card) and does not offer refunds. Realvolve costs quite a bit more than RealtyJuggler. This is suprising as realvolve offers only Email/Chat support, whereas the lower priced RealtyJuggler offers both phone as well as Email support. Are you wondering if RealtyJuggler has enough features for you? 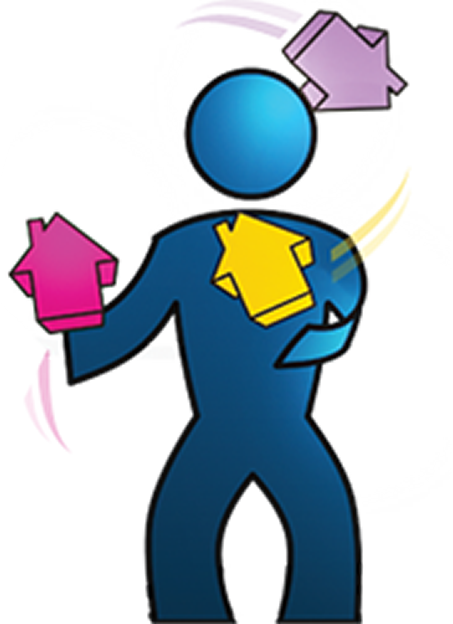 RealtyJuggler includes a comprehensive letter library, SMS Text messaging, over one hundred flyers, and can synchronize with both Google as well as Microsoft Outlook. Most importantly, you can schedule follow-up calls and build a daily call list to incubate and convert leads into deals.